The Creepy Creeps are know to put on a theatrical show. 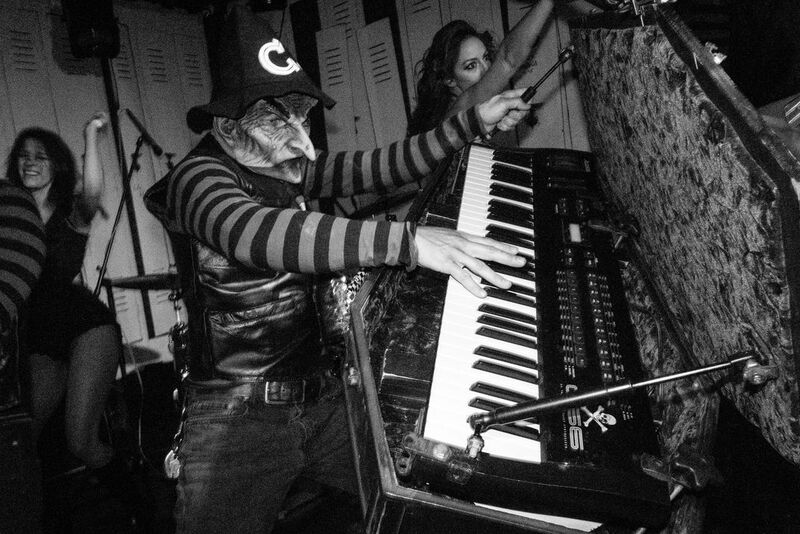 They played a short 9 minute set decked out in their Freddy Krueger costumes and their ghoulish go-go dancers. I was able to get a couple shots of the keyboard players coffin case. Date Uploaded: Oct. 17, 2016, 2:01 p.m.